The wedding season is approaching and what is in vogue is the destination wedding. It’s so exciting to do the knotty thing with your beloved one at some beautiful place far from the hustle and bustle of the city life! Yes. You literally elope with your bae, don’t you? Had you and your bae always dreamt of a destination wedding, isn’t it time to book your destined venue? Check out these destination options we’ve bunched up for you. 1. Rambagh Palace, Jaipur- Chariots, Elephants, palkis, palaces and the entire royal affair!! If a princely wedding was something you grew up dreaming of, then Rambagh Palace in Jaipur is just the right destination for you. Situated 08 km from the Jaipur city, this place gives you all Richie ingredients for a spiced up wedding. The regal interiors, the splendid courtyard and the magnificent rooms for your royal wedding are sure to drop your jaws! Don’t believe us, believe the pictures you see. Rambagh Palace is is the most sought after wedding venue in Jaipur. 2. Zeebop By The Sea, Goa- Zeebop By The Sea be your destination if Goa is an escape for you. Best venue for a pre-wedding shoot, awesome beach wedding, and a treasure-able honeymoon destination, this place promises you all! You can also plan your crazy bachelorette seaside on this piece of sandy land. This award winning venue is worthy worth to witness your D-Day! 3. Kumarakom Lake Resort, Kerala- Lush green siding the lake banks is a beautiful place to get wedded, isn’t it? Villas, multi cuisine restaurants, the teashops, spa centers and more is waiting for you here if you plan to tie your knot at this mesmerizing paradise. 4. Devigarh Heritage Hotel, Udaipur- Talking of lakes, why not get wedded in the city of lakes: Udaipur itself? 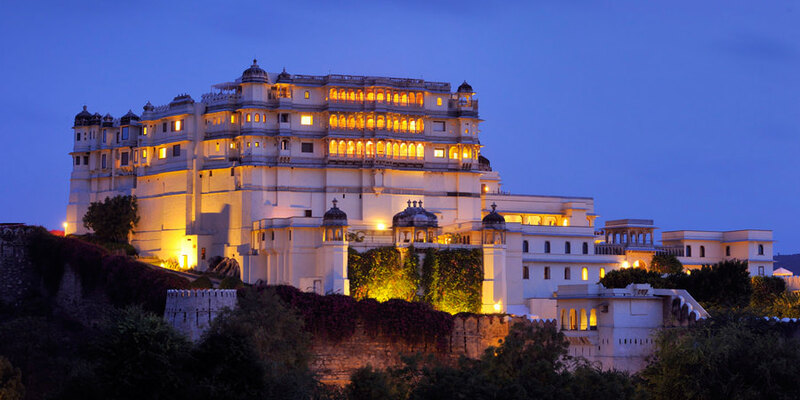 Devigarh Heritage Hotel, Udaipur is one most glorious palace. Savor a luxury-laden wedding in one of the Rajasthan jewels. The venue provides a hilltop view overviewing the town of Delwara. 5. Falaknuma Palace, Hyderabad- Be the prince and the princess and give your wedding a pearly touch in the city of pearls. The place gives you all the warmth and peace you need for the glow on your special day. The striking architecture is promising enough to add magic to your pre-wedding and wedding shoots. 6. 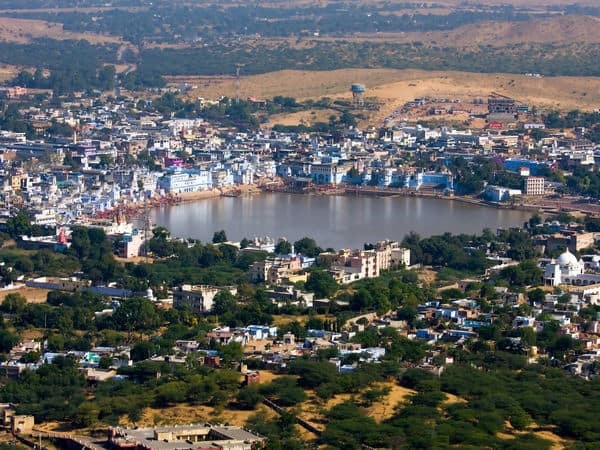 Pushkar, Rajasthan- Yes, you read that right! We are back to Rajasthan and only because it’s completely worth it! Pushkar is not only famous for the fair but is also an amazing destination for your wedding. Getting wedded in Brahma temple, with the blessings of God and your beloved ones (of course!) will fetch you an unforgettable experience. 7. ITC Grand Bharat, Gurgaon- Looking for a wedding venue in Delhi? Do you love living your life to the fullest? Get wedded in the fanciest manner ever at ITC Grand Bharat, Gurgaon. 48 km far from Delhi city gives you an easy access to fulfill you city necessities while granting you the entire fairy-tale affair. The banquet hall, the gardens, and the ballrooms give you all ingredients of a picture perfect wedding! Annnnnd Hey!! You can check more about wedding related stuff on Zankyou weddings 🙂 .